Lakshmi Shankar (born 1926 – 31st Dec 2013) was a Hindustani classical vocalist of the Patiala Gharana, and was one of the foremost and well-known vocalists of India. She is known for her performances of khyal, thumri, and bhajans. She’s also recorded Tamil folk songs, Hindu devotional songs of all sorts, film work (including the soundtrack to Gandhi) and for television documentaries. The four brothers (from left):Debendra Shankar, Pandit Ravi Shankar, Uday Shankar, Rajendra Shankar. Born in 1926, Lakshmi started her career in dancing. In 1939, when Uday Shankar brought his dance troupe to Madras, (recently renamed Chennai), she joined the Almora Centre to learn Uday Shankar’s dance style based on the Indian classics. 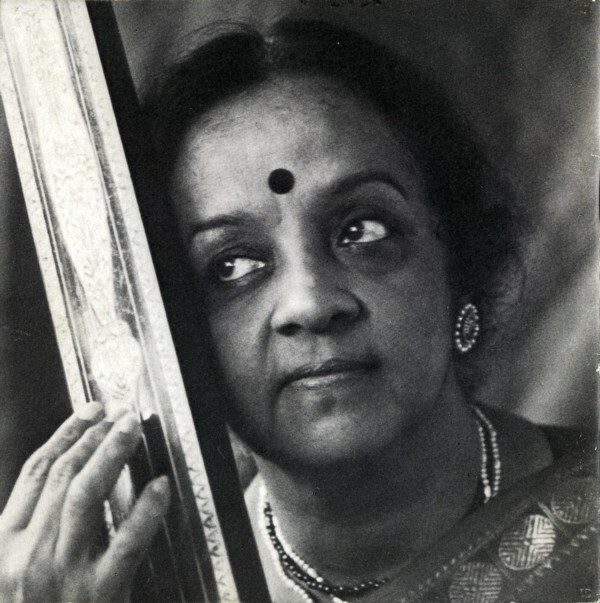 She married the scriptwriter Rajendra Shankar, an elder brother of the famous sitar maestro Ravi Shankar, and became a part of Uday Shankar’s artistic circle during the early ’40s. Ill health forced Lakshmi to give up dancing, but since she already had a background in music, she started learning Hindustani classical music under Ustad Abdul Rehman Khan. Later, she also trained with her brother-in-law Ravi Shankar. She first performed outside India in 1962-63, in the US, Canada and Europe with Uday Shankar, as a vocalist and director of the ballet orchestra, helping to popularize Indian vocal music in the west. The promotion initiative IMC – India meets Classic thanks all musical friends around the globe, for all your passion and interests we experienced during 2013 and giving us the chance to share our common love for Indian music culture. – A heartfully ‘Thank you’ by the editor ElJay Arem . We wish you and your families a happy and healthy, successfully and musical New Year 2014 ! … and become member of our FB group (with >6,480 lovers) for Indian Classical Music here. If it’s Margazhi in Chennai, it has to be music. The city is a steady witness to the growing number of people who follow their favourite Carnatic vocalists from sabha to sabha. Sivapriya Krishnan, Strategy Planning Director with RK Swamy BBDO and a vocalist (she trained under Sangita Kalanidhi R. Vedavalli), explains why she makes the most of vocal maestro T.N. Seshagopalan’s concerts. “It’s very simple, I have heard him since I was young and he brings in so much mastery and skill. His constant search for improvisation and endless creativity boggles the mind,” she says. Many youngsters in the city are equally enthusiastic about attending concerts of their favourite artiste, while a few follow their favourite artiste to other cities as well. An HR Manager in Hewlett Packard, Santhosh Mala started very young at the age of eight, and used to attend concerts that took place in temples without having any knowledge of the artistes. “But I would get into a trance when I heard the music and I was drawn by it,” she said. The Margazhi season seven years ago was when Mala got hooked. “After I was done with work, I was trying to attend a concert and to my luck got tickets to Bombay Jayashri at The Music Academy. Towards the end, she sang “Kanne enn kanmaniyae kannane kann valarai” and I had tears streaming down my face. Since that day, I have attended every single concert of hers,” she said. Sai Sundhar, a marketing analyst and IT product consultant has been attending concerts since he was 10 years old. 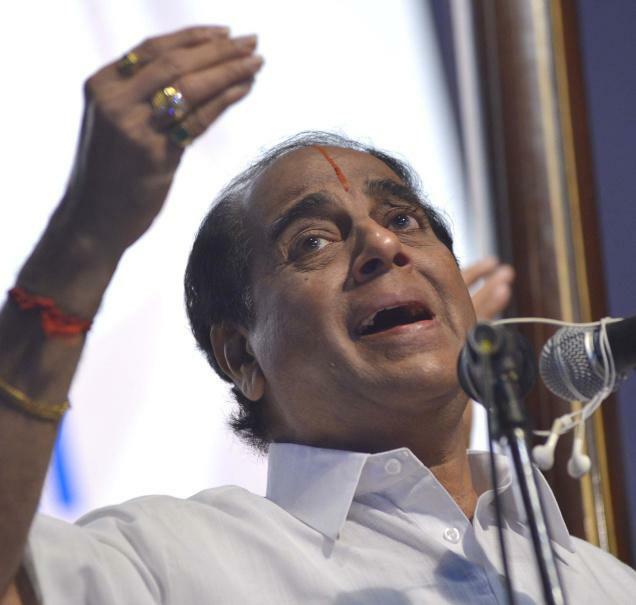 “There weren’t many concerts near my house in Chromepet, but it was something I still looked forward to each year,” he said. A part-time Carnatic vocalist, he would never miss either Bombay Jayashri or S. Sowmya‘s concerts. “During my college years, I lived in a hostel in Tanjavur so I would travel to Trichy and Chennai for their concerts. Lately, I plan my holiday trips and official trips around their concert schedules,” he said. For Surasika Parthasarathy, a 21-year-old student of law who attended her first kutcheri when she was only about four years old, inculcation into Carnatic music happened through her mother Subhashini Parathasarathy’s concerts. “In the December season, I would attend most of T.M. 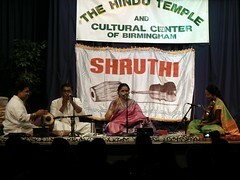 Krishna’s concerts,” she said adding that being a student gives her the freedom to attend concerts at most times of the day. Besides T.M. Krishna, Surasika also likes listening to some of the younger performers. Apart from regulars, first time December music season attendee (in Chennai) Nikhil Jois is quite excited to be catching his favourite singer, Sanjay Subrahmanyan, live. “I have attended his concerts in Bangalore whenever I could and I also collect CDs and DVDs of all my favourite singers,” he said. Nikhil, a 23-year-old academic author and content editor from Bangalore, is set to attend plenty of concerts this season. Outstanding vocalist Sudha Ragunathan (born: 04/30/1965) from South India will launch “Sampurna – Sruthi, Laya & My Life”“, a coffee table book that reflects her personal journey through the world of Indian Classical music. The release is dated on 4th of January 2013 at 4 :00 pm IST (at Rain Tree Hotel, Chennai). Proceeds from the sale of this book will go to Samudhaaya Foundation, an NGO which had been launched by Sudha with its first activities in July, 1999. With the book release Sudha will celebrate the occasion the Sangita Kalanidhi will be conferred upon her on 1 January 2014 by the prestigious Music Academy Madras (Chennai, India) as a milestone in her career. This year’s festival programme will be held in two parts, part 1 from 1st to 13th January and part 2 on 27th and 28th January. In all, there will be about 50 sessions including two morning sessions on Sunday, 5th & 12th January. NAUSHAD ALI (12/25/1919 – 05/05/2006) was an Indian musician. He was one of the foremost music directors for Bollywood films, and is particularly known for popularizing the use of classical music in films. Naushad’s first film as an independent music director was Prem Nagar in 1940. His first musical success film was Rattan (1944), following it up with 35 silver jubilee hits, 12 golden jubilee and 3 diamond jubilee mega successes. Early life and education: Naushad was born and raised in Lucknow, a city with a long tradition as a center of Indian Muslim culture. His father, Wahid Ali, was a munshi (court clerk). As a child, Naushad would visit the annual fair at the Deva Sharif in Barabanki, 25 km from Lucknow, where all the great Qawwals and musicians of those days would perform before the devotees. He studied Hindustani music there under Ustad Ghurbat Ali, Ustad Yusuf Ali, Ustad Babban Saheb, and others. He also repaired harmoniums. As a lad, he joined a junior theatrical club and was appointed the club’s music maestro for their theatrical presentations. He used to watch silent films at the Royal theatre in Lucknow. Theatre owners would hire a team of musicians to play the tabla, harmonium, sitar and violin. The musicians would watch the film first, make notes, finalize the scales required. When the show began in the evening, they would sit in front of the screen and play music for the scenes. This was a great way to be entertained and learn music at the same time. It made him grasp the nuances required in composing a film’s background music score. In time Naushad formed his own Windsor Music Entertainers or just Windsor Entertainers, so named because he had seen the word “Windsor” around Lucknow and liked its ring. It led to the Indian Star Theatrical Company in a theatre at Golagunj colony in Lucknow. He was trained under Laddan Khan until he became capable of working independently as a composer. There he also developed the sense to pick rare musical jewels from the folk tradition of Punjab, Rajasthan, Gujarat and Saurashtra during the company’s sojourns in those regions. The travelling players got as far as Viramgam in Gujarat, where they discovered penury, even after selling off theatrical props and musical instruments. The company limped back to Lucknow through the kindness of one of Naushad’s friends. Naushad had already become a cinema fan in the silent era, and then, in 1931, Indian cinema got voice and music that further fascinated the 13-year old boy. But his family was strict follower of Islamic diktat of prohibition of music and his father gave him ultimatum to leave music if he wanted to stay at home. He ran away to Mumbai in the late 1937 to try his luck as a musician career. In Mumbai, he initially stayed with an acquaintance from Lucknow (U.P.) at Colaba and after a while, shifted to Dadar opposite the Broadway theatre where he would sleep on the footpath. He assisted music director Ustad Jhande Khan who was at the peak of his success those days, at a monthly salary of Rs 40. The producer was a Russian and the studio was at Chembur. The film could not be completed. Naushad was a piano player so he worked as a pianist in composer Ustad Mushtaq Hussain’s orchestra. He then polished off an unfinished film score and got a credit as assistant to Hussain. Then the film company collapsed. Composer Khemchand Prakash took him on as his assistant for the film Kanchan at Ranjit Studio at a salary of Rs 60 per month, for which Naushad remained extremely grateful and, in interviews, had called Khemchand his guru. 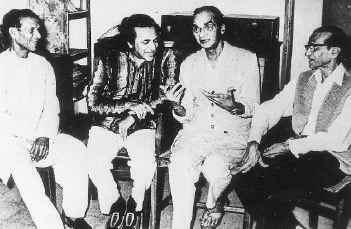 His friend, lyricist D N Madhok trusted Naushad’s unusual talent for composing music and introduced him to various film producers. Chandulal Shah, the owner of Ranjit Studios, offered to sign Naushad for one of his forthcoming films. Naushad composed a thumri for this film, ‘Bata de koi kaun gali gaye Shyam’, but the film never got on the floors. He was assistant music director for the Punjabi film ‘Mirza Sahib‘ (1939). He composed for his first independent film Prem Nagar in 1940 that had a story set in Kachchh for which he did a lot of research into the folk music of the area. With A.R. Kardar’s film Nayi Duniya (1942), he got first credit as “music director” and he began to work regularly for Kardar Productions. He however had a flexibility that he could work outside Kardar Productions, and this arrangement continued ever after. He first got noticed with A.R. Kardar’s film Sharda (1942) wherein 13-year-old Suraiya debuted with the song “Panchhi Ja” for the playback for heroine Mehtab. It was Rattan (1944) that took Naushad right to the top and enabled him to charge Rs 25,000 a film then. Film expert and author Rajesh Subramanian opines that Kardar production spent rupees seventy five thousand in 1944 to make ‘Rattan’. The music by Naushadsaab was such a phenomenal hit that the company earned Rs 3 lacs as royalty from Gramophone sales in the first year. His Lucknow based family remained against music and Naushad had to hide from his family the fact that he composed music. When Naushad got married, the band was playing the tunes of the super hit songs of Naushad’s film Rattan. While Naushad’s father and father-in-law were condemning the musician who had composed these songs, Naushad dared not tell them that it was he who had composed the music. From 1942 until the late 1960s, he was one of the top music directors in Bollywood. While he did less than a hundred films during his lifetime, 26 of those films celebrated Silver jubilees (25 weeks run) – 8 celebrated golden jubilees (50 weeks run) and 4 celebrated diamond jubilees (60 weeks run), inclusive counted: a diamond jubilee film also celebrated Silver and Golden jubilee. He composed the tunes of “Taj Mahal: An Eternal Love Story” (2005) at the age of 86. 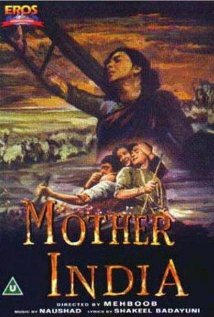 Mother India (1957), for which he had composed music, was the first Indian film that got nominated for Oscar. Naushad was conferred the Dadasaheb Phalke Award in 1981/1982 for his lifetime contribution to Indian cinema, and the Padma Bhushan in 1992. Amongst his assistants, Mohammed Shafi, Jerry Amaldev, and Ghulam Mohammed stand out prominently. Five films have been made on his life and work. 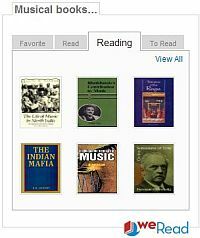 Biographical books published are Dastaan-E-Naushad (Marathi) by Shashikant Kinikar; Aaj Gaawat Man Mero (Gujarati); Hindi and Urdu biographical sketches in Shama & Sushma Magazines respectively, titled “Naushad Ki Kahani, Naushad Ki Zubani”; the last one was translated into Marathi by Shashikant Kinikar. Kinikar also came up with a book titled “Notes of Naushad” which puts together some interesting anecdotes of Naushad’s life. Naushad also composed background music for the TV serial “Akbar The Great” telecast in 1988 which was directed by Akbar Khan, brother of Bollywood stars Sanjay Khan and Feroze Khan. Hinduismus und dem Moghulreich geprägt. Die antiken Skripte des Hinduismus sind die Veden und können bis ca. 1200 v. Christi Geburt (Rigveda) zurückdatiert werden. Die Moghulherrscher waren in Nordindien von 1526 bis 1858 präsent, unter ihnen Akbar als der Bedeutendeste. Akbar regierte von 1556-1605. Die indische Klassik hat maßgeblich dazu beigetragen, den Sikhismus zu begründen. Als der Begründer der Sikh-Lehre wird Guru Nanak Dev (15. April 1469 – 22. September 1539 in Talwandi (im heutigen Pakistan)) gesehen, der erste von zehn (10) Gurus. Sie alle lebten in dem Zeitraum von 1469 bis 1708 und haben den Sikhismus auf unterschiedlichste Weise geprägt. 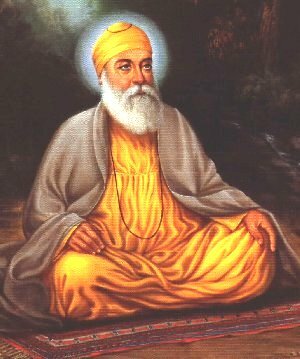 Nanak Dev begann als der erste Guru bereits im 15. Jahrhundert die Grundzüge des Sikhismus auf seinen Reisen als Wanderprediger zu lehren. Mit den Erkenntnissen aus den verschiedenen Religionen, die ihm begegneten, vom Hindusimus, Jainismus, Islamismus bis zum Sufismus formulierte Guru Nanak Dev eine eigenständige Lehre über die Einheit Gottes, oder viel mehr des Göttlichen. Die Lehre des Sikhismus ist eine Monotheistische. Guru Nanank Dev sprach aber nicht von einem Gott, nicht in Form einer Personifizierung, vielmehr von dem Göttlichen, als dem Unbekannten, Unbestimmbaren, Formlosen… allgegegnwärtig, im spirituellen Sinne. Im Jahre 1678 fasste der 10. Lehrer Guru Gobind Singh die einzelnen Schriften – auf der Basis des Adi granth – zu der abschliessenden Fassung des Guru Granth Sahib zusammen. In dem heiligen Buch des Sikhismus, finden sich auf insgesamt 1430 Seiten (Angs) eine Vielzahl von Shabads (Hymnen). Es sind Texte, die einer bestimmten Ragaform zugeordnet werden (s. Tabelle). 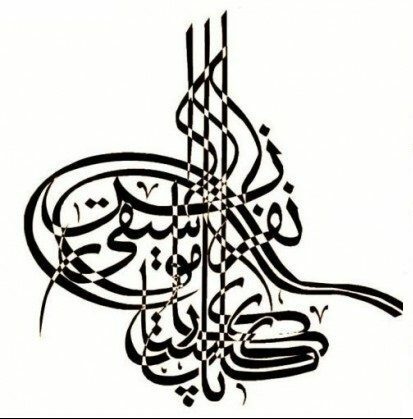 Die Texte der ersten 10 Lehrer wurden zudem ergänzt um Weisheiten des indischen Mysthikers Kabir (1440-1518) oder des Poeten und Heiligen Namdev (1270-1350) und anderer. desstaates Punjab. Standardisiert wurde Gurmuki von dem zweiten Guru Angad Dev. Die Vokalsprache Gurmukhi besteht aus den Gurbani-Wörtnern. Den Text des Guru Granth Sahib bezeichnet man daher als Gurbanigurbani. Gurbani ist sinngemäß “das gesprochene Wort des Meisters, des Gurus”, dem der Studierende, der Schüler seine ganze Aufmerksamkeit schenkt. Der Sanskrit-Begriff “Guru” ist mehr als nur Lehrer. Für einen Sikh bedeutet es Lehrer + spiritueller Führer zugleich. Anders als im Hinduismus, in den man hineingeboren werden muss, kann sich jeder zum Sikhismus bekennen. Hier treffen wir auch auf die Vorstellung von Reinkarnation. Das Kastensystem wird wie in der indischen Verfassung abgelehnt. Weltweit werden die Zahl der Sikhs auf etwas weniger als 30 Millionen geschätzt. Die Mehrzahl lebt im Norden Indiens, im Punjab, dem Grenzgebiet zwischen Indien und Pakistan. Nachdem die Völkerwanderung im 19. Jahrhundert eingesetzt hat, entstanden in Kanada, Ost-Afrika, im mittleren Osten, in England, Australien und Neuseeland die größeren Diasporas. Betritt man einen Sikh-Tempel, tront das Guru Granth Sahib im Zentrum. Seit 1708 ist es das offizielle Buch des Sikhismus, in unveränderter Form. Nach Betreten des Tempels verbeugt sich ein Sikh zur Ehrerbietung der Lehrer symbolisch vor dem Heiligen Buch. Die Gottesdienste und Sikh-Feste können von jedermann besucht werden, ungeachtet seiner Herkunft oder Religion.